A Nutritionist, Miss Patience Chima, on Wednesday said lack of adequate nutrients during pregnancy was responsible for most foetal malformation and deformation in babies. Chima of the Dietetics Department, Lagos University Teaching Hospital (LUTH), Idi-Araba, Lagos, advised pregnant women to ensure that they have enough nutrients in store to aid the formation of their foetus. She gave the advice at the 6th Annual General Meeting and Scientific Conference organised by the Nigerian Society of Paediatric Gastroenterology, Hepatology and Nutrition (NISPGHAN) in Lagos. NAN reports that the conference, which started on Wednesday, will end on Friday. Chima said: “Preconception status is the nutritional status of the mother before conception and in our society, lots of mothers do not plan for pregnancy. 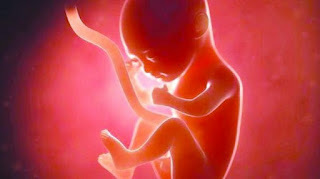 “Before a woman realises, she is pregnant and one month gone. “A mother must have enough nutrients to help in the formation of her unborn baby. “If certain nutrients are lacking while the baby is forming, the foetus will be at risk to birth defects and learning disabilities. “So, it is what the mother has in stock that her baby takes for the first time,’’ Chima said. She said if the nutrients that would aid the organs to properly form were missing, the foetus would be malformed and the organs deformed. Chima expressed grief over the attitude of some pregnant women when it comes to taking micronutrient supplements before, during and after pregnancy. She said a common one like folic acid, which helps prevent birth defects in the baby’s brain and spinal cord, were being ignored by some pregnant women. She said that some of these conditions could be reversible, urging mothers to always assess the risks and benefits of a medicine in pregnancy. Chima, therefore, advised mothers to exclusively breastfeed their babies, saying “ breast milk is non-negotiable’’. Despite insurgency, Borno is ahead of other states of the federation in the number of birth registrations conducted nationwide in the last five years, the National Population Commission says. Emmanuel Mark, Head of Department, Vital Registration Department, National Population Commission (NPopC) in Borno, disclosed this in an interview with the DAILY INDEPENDENT recently. Mark made the revelation during a Media Dialogue on Birth Registration in Kano, convened by the United Nations Children Education Fund in support of the Child Right Information Bureau, Federal Ministry information, Culture and Tourism. Over 40 participants were in attendance at the meeting which aim was to tackle obstacles against birth registration in the country. With 83 per cent under-one registration, and 20 per cent under-five registration within the period, Borno is ahead of others in the chart of birth registration in Nigeria, the Head of Department, NPopC said. He said that NPopC through the support of the UNICEF engaged its staff with the business of registering children within the local government areas of the state to realise its dream. According to Mark, other organisations also gave their support to Borno in ensuring that children were registered at birth. He said, “Apart from UNICEF, there are other organisations like the UNHCR and Non-Governmental Organisations that supported us in the birth registration processes. “What we also did to earn the glory was to assign our registrars not to only register at designated centres but also register in private hospitals and Internally Displaced Persons camps. Mark also explained that traditional rulers and Religious Organisations were not involved in this registration but added that in the subsequent process they would be involved. The Head of Department, NPopC stressed that if the traditional and religious institutions were brought in earlier, the birth registration in the country within the five years would have risen steeply. Mark, therefore urged on parents and stakeholders to ensure that new born babies were registered as this was the only way to show the true picture of a child’s identity and as well be included in the population of the country. The National Demographic Health Survey (NDHS) showed that Borno is leading in the birth registration rate with 172,878 boys and 190,438 girls totalling 363,316 within the period. The state tops Lagos, Ibadan Kano, FCT and Oyo states, which have more population with an aggregate of 83 per cent and 20 per cent registration under one and five years respectively. With the registration of 172,925 boys and 166,023 girls totaling 338,948, Kano came second on the chart. Similarly, Lagos state registered 117,586 boys and 113,998 girls totaling 231,584 while Oyo State registered 86,615 boys and 86,522 girls which gave a total figure of 173,137 registrations. 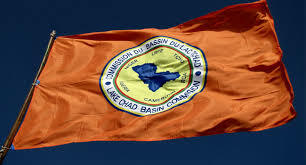 With 7,567 boys and 7,309 girls’ registration, totalling 14,876 which translated to an aggregate of 15 per cent and three per cent under one and five years registration respectively, Balyesa emerged the lowest in birth registration. Birth registration is the continuous, permanent, compulsory and universal recording of the occurrence and characteristics of birth. 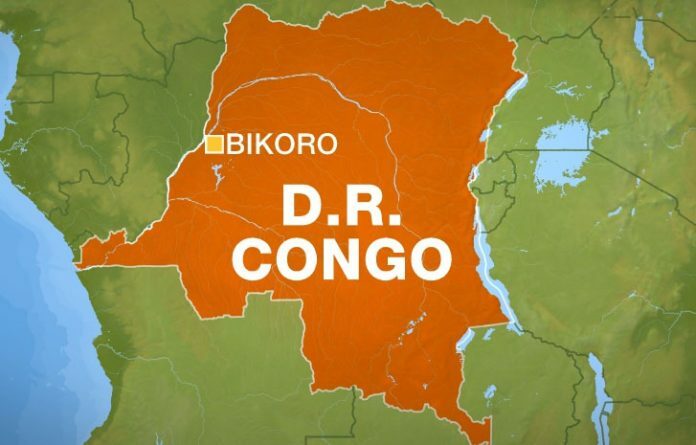 Birth registration is free, which means that children aged between 0 and 17 can be registered free at any healthcare facility centre across the country, the Head of Department, NPopC said. As part of efforts to promote optimal health condition and improve on emergency preparedness and response time, the Lagos State Government, on Monday commenced the year 2018 Medical Screening Exercise for operatives within Safety Arena, Bolade Oshodi. 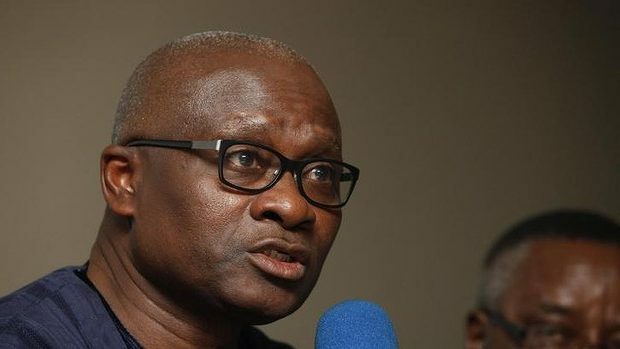 Performing the flagging off of the medical screening exercise was Oluseye Oladejo, the Commissioner for Special Duties and Inter-Governmental Relations. Oladejo said the administration of Governor Akinwunmi Ambode envisioned the Safety Arena complex to house Ministries, Departments and Agencies (MDAs) relevant to security and safety issues to serve as a one stop shop and improve synergy amongst safety agencies and operatives. According to the Commissioner, the administration of Governor Akinwunmi Ambode, in order to reduce the prevalence of chronic health diseases has made preventive measures a pivotal factor in ensuring that disabilities and deaths from these diseases are minimised. He added that envisioning the Safety Arena has reduced the response time to safety and security issues. He also stated that presently, there are fifteen agencies within the complex and the staff strength of these agencies is in excess of 700. The medical screening exercise according to the Commissioner is an attempt by government to continuously invest in preventive measures so as to ensure that costs of curative healthcare is minimised and to further increase stability and productivity of the operatives. Also speaking during the flag-off of the screening exercise, Paul Oluwabiyi, acting Permanent Secretary and Head of Administration and Human Resources, noted that the productivity level of officers is determined by the ability to perform in an efficient and sustainable manner. The medical screening is targeted at all operatives within Safety Arena, Bolade-Oshodi and which commenced on August 27 will last till September 7, at the Health Centre within the complex. 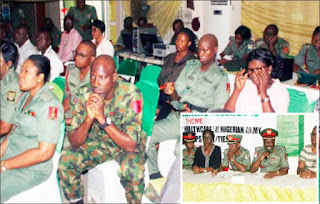 Some participants at the Nigerian Army Medical Corps (NAMC) training week. Inset: From Left to right Brig. Gen. TAY Ibrahim; Prof M.O. Ogunlewe, Prof MO Ogunlewe consultant Oral and Maxillofacial Surgeon, Lagos University Teaching Hospital (LUTH); Brig. Gen. ETO Adebayo; Brig Gen AJ Enojela and Prof Ibironke Desalu during the panel discussion after a lecture presentation at the NAMC training week by Prof M.O. Ogunlewe recently, in Lagos. Of late, policymakers in the Nigerian Army (NA) have bemoaned the shortage of skilled medical staff in the Nigerian Army Medical Corps (NAMC). This has thrown up the need for training of manpower to cover the observed gaps. So it was no surprise that penultimate week, Maj. Gen. Ikechukwu Okeke, the Corps Commander Medical, NAMC, raised the issue at a welcome address during the Corps training week. Similarly, the Nigerian Army Medical Corps unveiled plans to launch what it terms ‘the NA medical doctrine’. The doctrine is expected to be a guide to how the Medical Corps should do things. He also disclosed that the mental health policy is almost ready for publication. The Corps Commander (Medical) further revealed that all categories of staff of various specialities have been drafted to perform trauma care or nursing roles due to the exigencies of duties. Observing that every personnel privileged to wear the maroon beret must have basic combat casualty care training; he said they have identified some gaps in the knowledge and training of NAMC personnel which has been seen not only in combat causality care, but also the quality of care in NA medical facilities. Okeke said that there is need for more personnel to be trained to provide care especially in the pre-hospital setting in the field. Also, the Corps Commander said that a new directorate has been established at the headquarters in line with NA Order of battle (ORBAT) 2016 to enhance the quality of care in NAMC facilities. On his part, Maj. Gen OA Ogunbiyi, in his lecture, “Enhancing Quality Healthcare in Nigerian Army medical Corps Facilities,” noted that poor infrastructure, skilled manpower, funding, attitude of healthcare providers and training are challenges facing NAMC. Maj. Gen Ogunbiyi wants the Army Head Quarters, AHQ, to sustain the annual recruitment of skilled manpower through a special commissioning scheme. 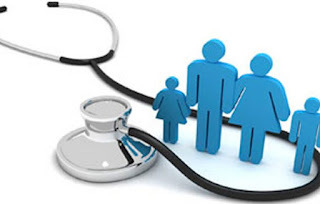 He stressed that provision of qualitative and accessible healthcare services to members of the armed forces was of paramount importance to the Federal government. He further called for a change in attitude among NAMC healthcare providers and across all ranks. Lt. Gen. Tukur Burutai, the Chief of Army Staff, speaking on the theme for this year’s training; “Enhancing Quality Healthcare in Nigerian Army Medical Corps Facilities,” noted that NA has commenced restructuring and reequipping of its medical corps facilities to guarantee availability of world-class care for the safety of the lives of troops and effectively handle emergencies. He revealed the army has already started the refurbishing of facilities, especially in the tertiary hospitals. The Chief of Army Staff also disclosed that the hospitals can now boast of diagnostic equipment like a mammogram, CT scan, MRI and others as well as ultramodern theatre facilities for the management of surgical cases. Represented by Maj.-Gen. Enebong Udoh, the General Officer Commanding (GOC) 81 Division of the Nigerian Army, he explained that the move was also to reduce medical tourism. Burutai expressed optimism that the training week, said the training week was to reposition the Nigerian Army Medical Corps to deliver health care services in a more robust manner. His words, “Nigeria Army is faced with security challenges that have put a high demand on human and material resources. To surmount these challenges requires that medical professionals should be well-trained and competent. All efforts, therefore, be geared at reducing the effects of sicknesses and injuries in the battlefield through an efficient causality management system. Following the huge investment being made to upgrade the facilities, medical personnel are expected to be capable of handling newer sophisticated equipment and maintain them, he added. Having a diet that is rich in fruit, vegetable and whole grain and low in added sugar, sodium and processed meat could help promote healthy cellular aging in women, a study of the University of Michigan (UM) showed. UM researchers used telomere length to measure cellular aging in the study. Age is the strongest predictor of telomere length: telomeres shorten in length during each cell cycle. They examined the diets of a nationally representative sample of nearly 5,000 healthy adults and how well they scored on four evidence-based diet quality indices, including the Mediterranean diet, the DASH diet and two commonly used measures of diet quality developed by the U.S. Department of Agriculture and the Harvard T.H. Chan School of Public Health. “We were surprised that the findings were consistent regardless of the diet quality index we used,” said lead author Cindy Leung, assistant professor of nutritional sciences at UM School of Public Health. All four diets emphasize eating plenty of fruit, vegetable, whole grain and plant-based protein and limiting consumption of sugar, sodium and red and processed meat. “The commonality to all of the healthy diet patterns is that they are antioxidant and anti-inflammatory diets. “They create a biochemical environment favorable to telomeres,” said Co-author Elissa Epel, professor of psychiatry at the University of California, San Francisco. “We have seen some gender differences in previous nutrition and telomere studies,” Leung said. Men tended to have lower diet quality scores than women. Men also had higher intakes of sugary beverages and processed meats, both of which have been associated with shorter telomeres in prior studies. Nevertheless, recent studies have shown that telomeres can also be shortened due to behavioral, environmental and psychological factors. Shorter telomeres have been associated with an increased risk for heart disease, type 2 diabetes and some cancers. “The key takeaway is that following a healthy diet can help us maintain healthy cells and avoid certain chronic diseases,” said Leung. The study has been published in the American Journal of Epidemiology. 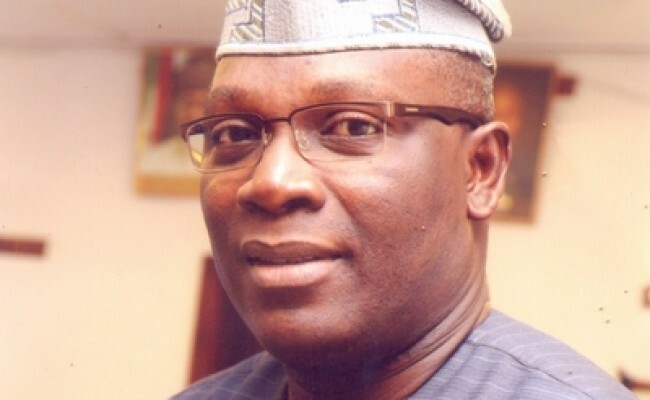 The Lagos State Government has sought the support of public servants in the successful implementation of the soon to be launched mandatory Lagos State Health Scheme (LSHS).These are especially in the areas of propagation of information about the scheme, its benefit packages and roles of stakeholders. The Health Commissioner, Dr. Jide Idris, said the role of public servants just like other stakeholders is important in the successful implementation of the scheme. Dr Idris stated this at the meeting organised by the Lagos State Health Management Agency (LASHMA) in collaboration with the Ministry of Health and the Public Service Office to sensitise public servants on the scheme. “The reason for this sensitisation meeting is to educate and sensitise you on the reasons for the roll out of the scheme, policy decisions and the modalities of the scheme. “Others are the plans, the benefit packages, service provision, premium breakdown and payment modalities as well as your roles and responsibilities of enrollees and stakeholders in the scheme,” Idris said. Dr Idris said LSHS is a compulsory health insurance programme established by the enabling law of the state to ensure all residents of Lagos State have access to affordable and quality healthcare, as the scheme is aimed at protecting people living in Lagos from financial distress resulting from huge medical bills. Idris while explaining that the premium payment for a family of six is N40,000 per year and premium for single enrolment is N8,500 per year, said a premium subsidy of 75 per cent was approved by the Lagos State Executive council for public servants, “What this means is that the state government will pay 75 per cent of the premium while public servants will only be required to pay 25 per cent,” the Commissioner said. He noted that LSHS apart from increasing access to quality health care services without financial hardship is also providing enrollees with options of accessing these services at public or private health facilities. Similarly, Mrs. Folasade Adesoye, the Head of Service, Lagos State Public Service, stated that it is important for public servants as key stakeholders and potential beneficiaries of the scheme to understand their roles and what they stand to gain from the scheme. The Head of Service stated that the sensitisation programme will be a continuous activity until the required awareness and information are entrenched within the public service communities. Dr. Peju Adenusi, General Manager of LASHMA, while giving an overview of the scheme, explained that the LSHS Bill was signed into Law in May 2015. She added that the law which established LASHMA, LSHS and the Lagos State Health Fund (LASHEF) will serve as a basket of funds from several sources for the provision of health care services for the enrolled population. Adenusi said the Lagos State Residents Registration Agency (LASRRA) registration number shall be a prerequisite for accessing any benefit available under the schemes. She disclosed that the services to be provided under the scheme otherwise known as benefit package will cover a wide range of healthcare including, antenatal and postnatal care, normal delivery and Ceaserian operation, care of newborn, prevention of mother to child transmission of HIV, immunisation, family planning among others. 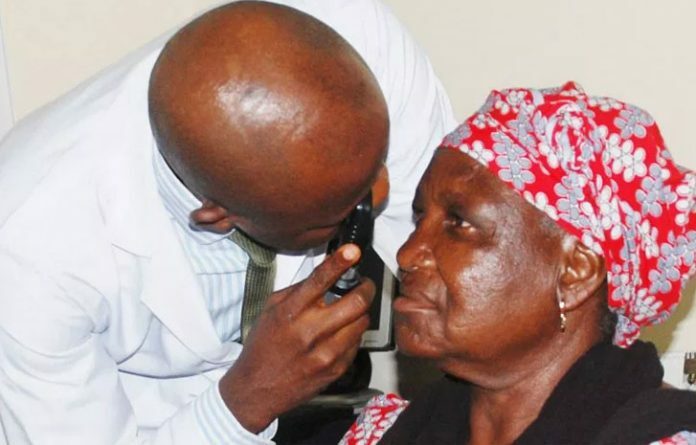 (NAN) The Ophthalmological Society of Nigeria (OSN) says it will conduct free cataract surgeries worth over N20 million on no fewer than 250 less privileged people in the country. Dr Sunday Abu, the Chairman of Eye Camp and Surgery Committee of the society, disclosed this in an interview with the News Agency of Nigeria (NAN) on Friday in Abuja. Abu said that the exercise was part of the society’s corporate social responsibilities. “The average cost of one cataract operation is N80, 000 and the 250 eye surgeries will cost about N20 million if we are to cost them but we are not spending money. “We are not spending money because consumables are donated by Sight-savers, an International NGO while we have experts volunteering their services for the success of the surgeries,” Abu said. Cataract is a clouding of the lens in the eye which leads to a decrease in vision. Some of the symptoms include faded colours of the eye, blurry vision, halos around light, trouble with bright lights and trouble seeing at night. Abu said that 150 surgeries were billed to be conducted at the University of Abuja Teaching Hospital, (UATH), Gwagwalada while 100 would be performed at Kubwa General Hospitals. He said that the surgeries in Gwagwalada would be conducted from Aug. 25 to 28 while those in Kubwa were scheduled for Aug. 27 and 28. According to him, the exercise was specifically targeted at the very poor in the society that could not afford such services. “We will commence eye screening in Kubwa hospital on Aug. 23 and 24 while the surgery will start on Monday 27, and last till Tuesday, 28. “Screening is already ongoing in Gwagwala hospital; so people can walk in there and have their eyes screened,” he said. The ophthalmologist further said the exercise was part of OSN’s annual pre-conference activities adding that it was geared toward reducing avoidable blindness to the barest minimum. Abu who described cataract as the commonest cause of blindness in Nigeria and the entire African continent said it could be treated through surgery when diagnosed early. He however advised people who are 40 years and above to make it a priority to check their eyes regularly. According to him, a lot of people get blind due to cataract and other eye diseases as a result of ignorance of having such challenge. 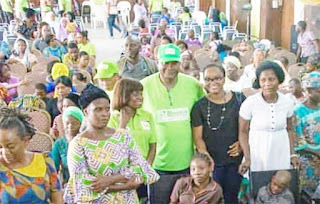 He further urged those with poor vision or other eye ailments to avail themselves of the free eye screening and surgery in order to address their challenges. “We advise people from age 40 and above to have their eyes checked on time and at regular basis to ascertain if there is any eye challenge. “This is because there are some silent eye diseases such as glaucoma that do not give any sign or symptoms. (NAN) Dr Arikawe Adeolu, a medical practitioner, Federal Medical Centre, Jabi, Abuja, has advised the public to always observe the colour of their stool to determine their health status. Adeolu gave the advice in an interview with the News Agency of Nigeria (NAN) on Wednesday in Abuja. According to him, a change in colour, shape, size, consistency and frequency of stool can indicate possible health conditions. Adeolu also said that the normal colour of stool should be brown; adding that professional medical assistance should also be sought if the colour changed and remained consistent more than two days. He said that since the colour, shape, size, consistency and frequency of an individual’s stool gave a lot of background information about underlying health conditions in the body, it should not be ignored. Adeolu said that the pigment present in bile was the reason the stool maintained its brown colour as the pigment mixes with the stool when they come in contact. He said that if for any reason this pigment failed to mix with the stool to give it the brown colour, the stool would appear pale having an off white colour. Adeolu said: “In this situation where the stool turns off-white, you are looking at some form of blockage of the bile duct. “The blockage prevents the bile from getting to the intestine to mix with the stool to give it that brownish colour. “Once you notice a consistent change in your colour of stool over a two day period, it is important you go to the hospital so that you can be thoroughly assessed by a health professional to find out the cause. “The colour of stool can give background information into some underlying health conditions in the body. “Your stool can say a lot about your health and there are a lot of things to consider when one wants to make an assessment of one’s stool to determine ones health condition. “The colour of stool is just one factor to consider when assessing ones health; there is need to consider the shape, size, consistency and the frequency of the stool. He said that some stool could have yellowish colouration and could appear oily, stressing that in such situation, the individual could be having a health condition known as malabsorption. He said that if the stool colour changed to black, it could mean that the individual is consuming some type of supplement or that such individual had some form of internal bleeding. Adeolu said that the bleeding could occur in the intestine usually high up in the intestine, a condition known as upper gastro-intestinal bleeding. According to him, the black stool condition is normally referred to as tarry black stool. He said that when the stool appeared red, it indicated that there was blood in the stool which could be as a result of bleeding in the lower part of the intestine. 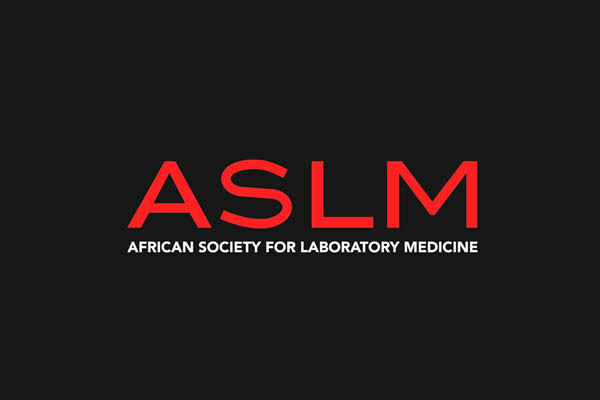 As the date of the 2018 edition of the African Society for Laboratory Medicine Conference (ASLM) draws near, the body has released the list of speakers who will address the attending delegates. The list includes: Senior Director of the Diagnostic Services at the Clinton Health Access Initiative, Dr. Trevor Peter; Director of African Centres for Disease Control and Prevention, Dr. John Nkengasong; Founder and Director of the International Centre for AIDS Care and Treatment Programs (ICAP), Dr. Waafa El Sadr, and South Africa’s National Health Laboratory Service official, Dr. Wendy Stevens. Other speakers who will be facilitating on-going dialogues at ASLM 2018 include: Prof. Alimuddin Zumla, Dr. Caroline Jehu-Appiah, Dr. Ogobara Doumbo, Dr. Rebecca Martin, Dr. Chewe Luo and Prof. Oyewale Tomori. Also included in the speaker line-up are Dr. Jay Varma, Dr. Philip Onyebujoh, Dr. Merawi Aragaw, Dr. Chikwe Ihekweazu, Dr. Abdourahmane Sow, Dr. Djoudalbaye Benjamin and Prof. Iruka Okeke. The conference will be chaired by co-founder and the Executive Director of the International Research Centre of Excellence at the Institute of Human Virology Nigeria, Prof. Alash’le Abimiku. She is a Professor at the Institute of Human Virology at the University of Maryland School of Medicine, Baltimore. The theme for this year’s conference is ‘Preventing and Controlling the Next Pandemic: The Role of the Laboratory’. From December 10 to 13, 2018, Transcorp Hilton Hotel, Abuja, Nigeria, will play host to hundreds of delegates from across Africa. This is the first time the conference will be held outside Cape Town, South Africa, where the first three editions were staged. The 2018 ASLM conference will feature plenary sessions on pandemic threats, laboratory response and partnership synergy. The event will also feature presentations, poster sessions, special sessions and symposia. The Roundtable discussions will focus on topics such as leveraging and sustaining networks for disease response in Africa; data intelligence, biological specimen repository for outbreak response, role of National public health institutes in pandemic response and Africa regional laboratory networks. This year’s edition of the biennial conference, which is the fourth, is expected to help achieve the ASLM’s 2020 goals of strengthening laboratory workforce by training and certifying laboratory professionals and clinicians. The ASLM aims to achieve these goals by working collaboratively with governments, local and international organisations, implementing partners and the private sector. According to Ms. Bethanie Rammer, Communications Manager, ASLM, the conference provides an avenue for strong collaborations with leading researchers; which in turn paves the way for the development of new strategies and medical technologies. Speaking on the rationale for hosting the ASLM conference in Nigeria, she said: “By hosting conferences such as ASLM 2018 in Abuja – Nigeria, ASLM seeks to change the way that medical research is conducted. Children living with cerebral palsy received free medical check-up by different paediatric therapist as Benola initiative marked its sixth National Cerebral Palsy Family Forum with more than 15 children getting free wheelchairs. The forum like the previous year’s edition held at University of Lagos Teaching Hospital (LUTH), Idiaraba, also had the support of LUTH as usual. 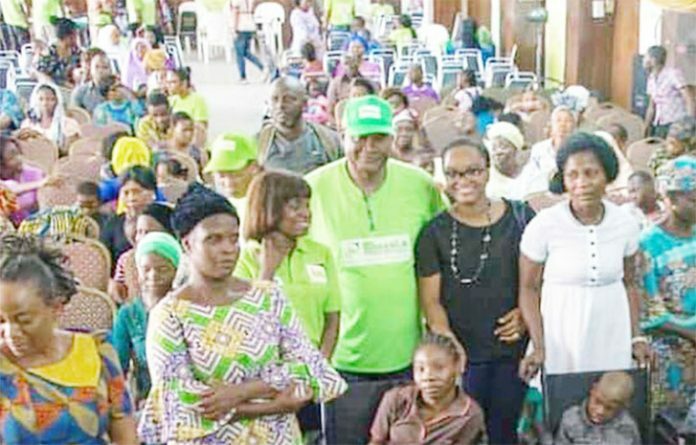 Pediatric therapists such as speech, occupational, nutrition and dietetics as well as other medical social workers from LUTH were present to provide proper attention to families that have children living with cerebral palsy. On the essence of the forum, an occupational therapist of the Lagos University Teaching Hospital, Mr Ayomide Oni explains children with cerebral palsy can be taught on how to be independent that is, doing things that they are meant to do as children. Another therapist, Cynthia Onyekwere, whose specialty is on nutrition and dietetics at LUTH also advises parent to give the exact food to their disabled children. She frowned at parents that give their children concoction and supplement popularly known as ‘Agbo’ that were not prescribed by doctors in health facilities. According to her such medication or supplement will cause more harm than good to that child. 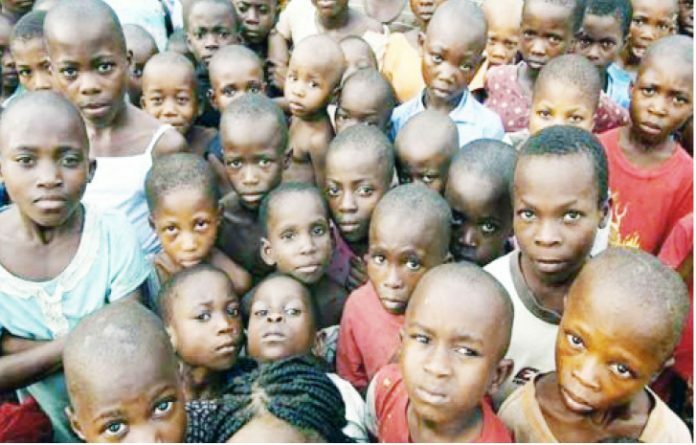 Mrs. Happiness Uzo, a member of the Medical Social Therapist Board of Nigeria, also disclosed that the government is trying to make sure that disabled children are given maximum attention concerning health and vocational issues. Benola initiative is looking forward to a world where there will be no discrimination of disabled children among other abled ones, children with cerebral palsy can do a lot of great things in future all they need is proper care, love and attention, she said. If parents that have disabled children treat them badly, then there are no way the children would live well. What we need is to build up the self-esteem of children with cerebral palsy, give them adequate love and care, comments Mrs. Abimbola Oshinowo, Assistant Director of the Lagos Ministry of Health. She also appreciates the Benola initiative for assisting the government to do some of their numerous duties as well as supporting families with children living with cerebral palsy. One the beneficiaries of the Benola initiative forum is master David LUTH, a special child with cerebral palsy who was abandoned under the staircase in the Lagos University Teaching Hospital after few months of birth. David has been a baby of the hospital ever since then and he was named after the great hospital since the only relative he has is his nurses who have been his caregiver and the hospital at large. Another beneficiary is a joyful five-year-old boy, victor Adebayo who looks good, agile and happy, despite his disability. In a chat with DAILY INDEPENDENT, his mother, Mrs. Olufunmilayo Adebayo says that her child has been a source of blessing to her despite his disability. Mrs Adebayo appreciates the forum for their medical counselling noting that counselling helps to guide parents on achieving a better future for their children. Folarin Oluwani was also a beneficiary of the forum. Aged five, Folarin is living with cerebral palsy and is receiving adequate care from his mother who also had to stop working because of him. Cerebral palsy should not be seen as the end of the world, let parents show love and care to these children and ensure they live a healthy life, says Femi Gbadebo, the Founder, Benola Cerebral Palsy (CP) Initiatives. Gbadebo further says, Benola was initiated because of his son and this forum has successfully proved, through awareness, that disabled children can become useful persons in life. The Federal Capital Territory Administration (FCTA) has warned residents to desist from open defecation to prevent cholera in the territory. The Director, Public Health, Health and Human Services Secretariat, FCTA, Dr Humphrey Okoroukwu, gave the warning in a statement on Friday in Abuja. Okoroukwu disclosed that seven deaths have so far been recorded from cholera outbreak in four communities of Sauka, Mpape, Kubwa village and Ushafa. He, however, explained that open defecation was one of the causes that predisposes some residents to cholera, which affected some communities in the territory. 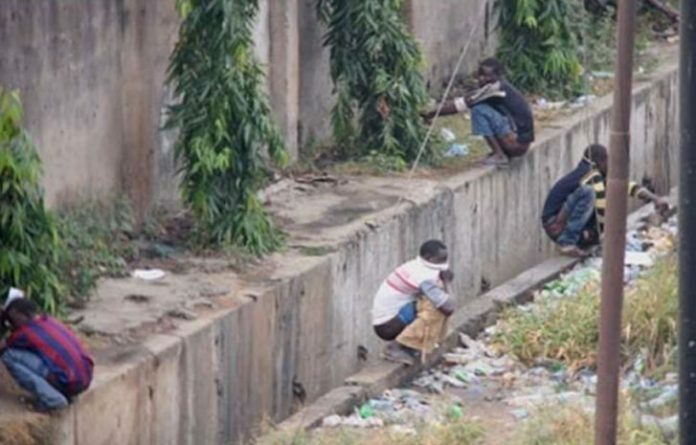 “People should stop defecating in open places, especially around the river banks to prevent infectious diseases like cholera. ”Residents are advised to have toilets in their homes and those who cannot afford Water Closet should endeavour to have pit latrines to avoid outbreak of cholera,” he said. 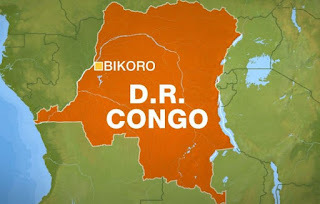 The director said that cholera outbreak was common during the rainy season, and stressed the need for residents to take necessary precautions. He said that cholera outbreak occurred mainly in rural communities that had no access to potable water. Okoroukwu also enjoined FCT residents to treat their drinkable water and ensure that it was free of any contamination. He advised residents to take sick persons with symptoms of cholera immediately to nearby healthcare facility or hospital, pointing out that timeliness is of essence.